Premium whey isolate packed with 27g of protein per serving, giving you the protein you need from a quality source — the same cows that produce your milk and cheese. It’s made directly from milk to produce great-tasting, all-natural nutritionals. 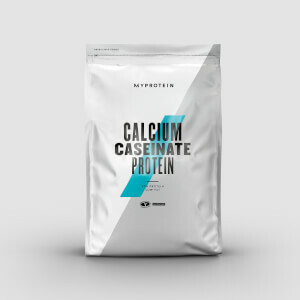 It’s convenient, high-quality protein that helps grow and maintain important muscle1 — and with just 0.5g of fat, 1g of carbs, and only 120 calories per serving, it’s perfect whether you’re looking to build muscle, lose weight, or tone-up. Nutritionals based on Unflavored version. 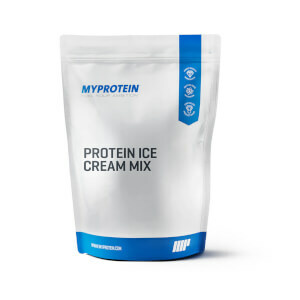 It’s fast-absorbing, so we recommend adding 1 large scoop (30g) to water or milk 30-60 minutes’ post-workout — but it’s ideal any time for a convenient way to get the protein you need. Chocolate Smooth: Milk protein (Milk Protein, Soy lecithin), Cocoa processed with Alkali, Natural and Artificial Flavoring (Natural and Artificial Flavor, Gum Arabic), Cellulose Gum, Sucralose, Acesulfame K, Salt. Vanilla: Milk protein (Milk Protein, Soy lecithin), Natural & Artificial Flavoring (Natural & Artificial Flavors, Maltodextrin, Gum Arabic, Sucralose, Ace K). *These values are for the unflavored option. Please note that values may change for other flavors. I absolutely love this protein powder! It's perfect: It tastes good, mixes well and does not cause tummy issues such as bloating (I'm sensitive to lactose ;-) I drink it with water, a bit of Crystal Light in peach or strawberry banana, and mix with a fork. I don't like sweet things so it's only a little Crystal Light. I find it satiating unlike many I've tried before. I work out a lot and drink 3 - 4 servings a day as it's my main source of protein. It's a winner that I'll keep buying. Water and a touch of Crystal Light. I was pleasantly surprised that the taste of this unflavoured protein is very tolerable even without any additional flavourings. I mixed it with lactose-free milk (which tastes sweeter than normal), so that might be part of the reason, too. Mixes well. My new favourite isolate! Oh, and my pouch had a mixing spoon in it, despite the website suggesting otherwise. Got this Whey instead of the regular Impact I usually get. I might stick with this one as the Macros are really good. Tastes is good and it mixes really well. Great stuff! Love it just wish it came in different flavors!! Wanted to try out a very pure protein source. This is a great combo of quality, affordability, and taste. It's hard to ask for much more. I mix it in water with another flavor protein. Awesome product, highly recommend it. Great taste and great results. I really like the product, it is unflavored and takes a little extra effort to mix with water in a shaker bottle, so I usually use blender and skim milk...I also like that there is no soy in the mix. I really enjoy the flavored whey isolate from MyProtein, but sometimes I like to use plain along with stevia and/or flavdrops to create my own flavor. This works perfectly!